President Levio Jacob, director David Robinson (retiring in 2015 to become Director Emeritus), Artistic Director Jay Weissberg (from 2016). This yearly October festival is described as ‘the premier event of its type in the world’. 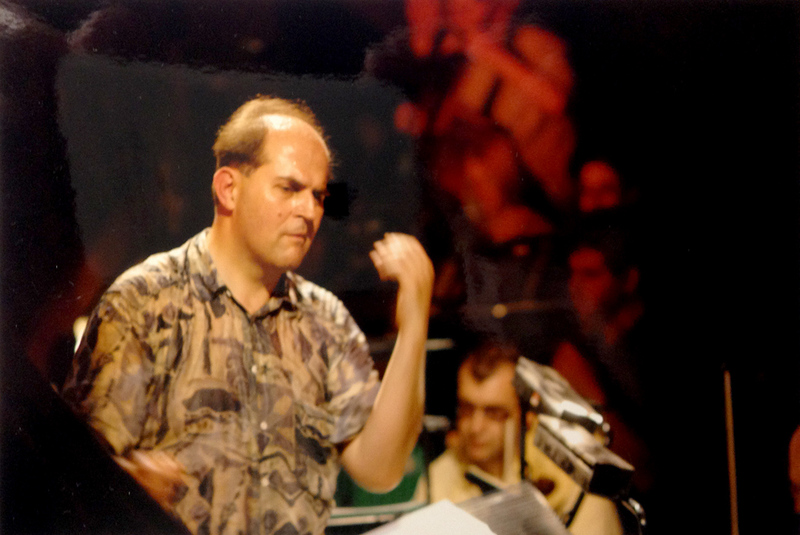 Conducting ‘The Patsy’ (1928) at the Tuschinski Cinema (Amsterdam) was Mark’s first encounter with David Robinson, who has remained a great friend and supporter ever since. 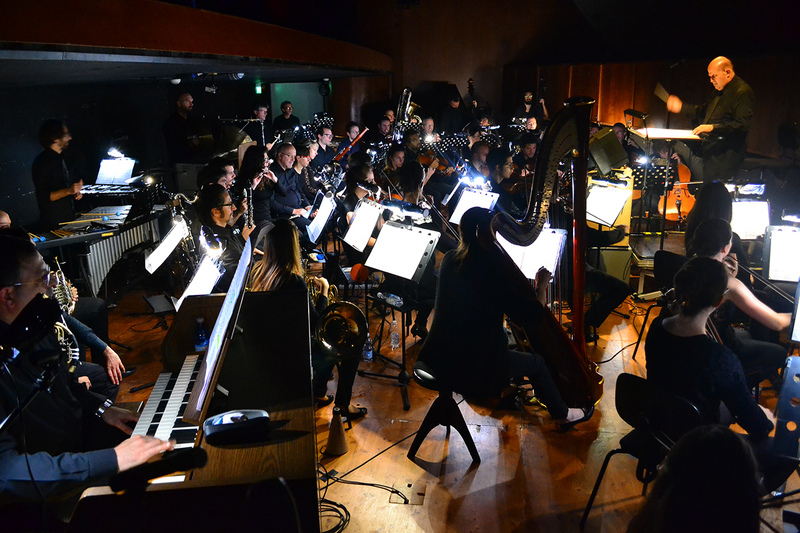 Mark’s first conducting of silent film performances at the Theatro Verdi, Pordenone came in October 2010. This first project was the silent film ‘Wings’ (1927) with a magnificent (and very challenging) score by Carl Davis. Mark has been invited back to the Festival every year since. Mark’s 2011 performance of his definitive version of ‘New Babylon’ was recorded for later issue on DVD. All these performances were more than sold out, so that in 2015 two performances (10th and 11th October) of ‘The Phantom of the Opera’ (Lon Chaney, 1925) were essential. Carl Davis’s score for this film is a particular masterpiece. Another epic film is scheduled for Mark in 2016. The Festival attracts a world-wide audience of experts and enthusiasts, with endless wonderful rarities being screened all day. Mark has encountered many notable celebrities (who often stay in the same hotel) including Sir Jeremy Isaacs (whose career gave great support for the promotion of silent films), Richard Williams (Canadian-British multi-Oscar winning animator, particularly well-known as Animation Director of the Disney film ‘Who Framed Roger Rabbit?’), Hungarian film director, István Szabó, who engaged David Robinson for a small part in the Oscar-winning film ‘Mephisto’ (1988), playing himself as the Times film critic (in one scene David was directed to slap the film star Klaus Maria Brandauer in the face). Actress Jean Darling (1922 – 2015) became a great friend of Mark’s, particularly in the hotel’s breakfast room. Despite her great age and confinement to a wheelchair, she was a great and extrovert singer and performer (her last film was made in 2013). She had endless tales to tell about her amazing career, starting as a baby of six months before going straight into the Hal Roach silent film series of ‘Our Gang’ films. The Festival’s presentation of Japanese silent films is a unique experience for Western audiences, performed by Ichiro Katoka in full Benshi robes in the traditional style of the 1920s. The Benshi stands at the side of the screen and in theatrical style relates the storyline of the film by general commentary and by giving a variety of voices to the on-screen characters in their various roles, synchronising exactly with the actors. He is supported by a small group of traditional Japanese musicians as is the custom in Kabuki theatres.